The Irish love stories and this is one hell of a story. It is the Olympics and the Irish need a winner. The rescission has hit Ireland hard and the people need a reason to believe. Their girl … their daughter … their friend became their hero as she won the gold medal at the Olympics in the first showing for women’s boxing. She fought for Ireland, and a country stopped to watch. 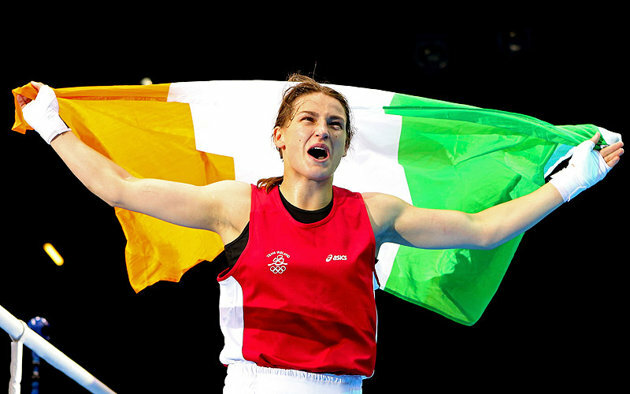 Her name is Katie Taylor and she will be forever a legend in Ireland. Dan Wetzel, a sports writer from Yahoo Sports wrote a touching and telling article about the incredible Katie Taylor and her impact on a nation. Ireland stands on her shoulders. I do invite you to read the full article yourself (read here). They came because of Katie. In a nation of writers, they couldn’t dream her up. Every possible positive attribute the Irish want to see in themselves, she delivered. “Talented, modest, unaffected, lovely,” the Irish Times wrote. Throw in tough, religious, hard-working, humble, and loyal. “Warrior Hero,” the Irish Independent dubbed her. I am proud of Katie as well and find her story amazing. As an American I have heritage in several countries, but my Irish is strongest from my name to my love of a great story. Congrats Katie Taylor. For you and Ireland … WeMoveTogether.